Rev Dr. Clifford & Lady Rebecca Johnson, cordially invite you to come worship with us at the "The Hope!" You will find a warm, friendly, exciting and Godly atmosphere at our church where you will be and feel welcome by our staff and members. Won't you make plans to visit and worship with us this Sunday! We would be honored and blessed to have you in our sanctuary of praise. We are the Church Where the "Word Works" & Where We "Work the Word!" 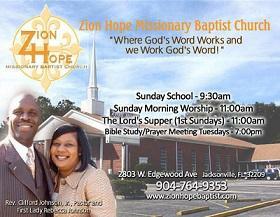 Thank you for choosing to visit our website and find out more about the ministry of Zion Hope. We are constantly evaluating our programs in order to better meet the needs of our church family, community and city. We invite you to take a good look at us. We may be just the church for you! 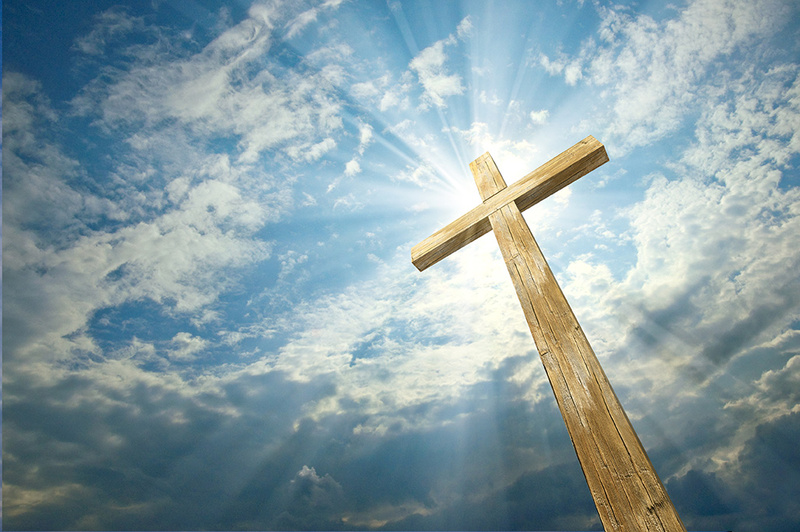 Our saints are here to serve Christ and be a "Word" church that honors God and provides everyone a path to find God's Will for their life through sound doctrine, biblical teaching, spiritual growth and life changing ministry!